The Brehon Law Society and the Young Lawyers Division of the Philadelphia Bar Association invite you to a St. Patrick's Day Celebration on Wednesday, March 12 at 5:30 p.m. at The Philopatrian, 1923 Walnut St. The celebration includes traditional Irish drinks and hors d'oeuvres along with live music by the John Byrne Band. Singers and musicians welcome! Tickets are $35 in advance or $40 at the door. Click here to purchase tickets. The celebration is sponsored by Magna Legal Services. Lisa Peskin, CEO of Business Development University will discuss networking and client development using LinkedIn at the Thursday, March 20 meeting of the Law Practice Management Committee. The program will begin at 12 p.m. in the 11th floor Conference Center at the Bar Association. Lunch is available for $8 for Bar Association members and $12 for non-members. Click here to register. Join your friends and colleagues for a YLD Networking Happy Hour on Thursday, April 10 at Ocean Prime, 124 S. 15th St. Enjoy complimentary hors d'oeuvres and drink specials. RSVP not required. CLICK HERE for a list of upcoming pro bono training programs. CLICK HERE to see the Public Interest Special Events Calendar. JoAnne A. Epps, dean of the Temple University Beasley School of Law, will receive the Philadelphia Bar Association's Justice Sonia Sotomayor Diversity Award at the Association's Quarterly Meeting and Luncheon, which will be held on Tuesday, March 11. The award publicly acknowledges, recognizes and honors an individual or entity that has demonstrated a strong commitment, and has made substantial contributions to diversity and promoting full and equal participation and inclusion in the legal profession. Epps has been dean since 2008. 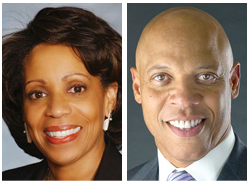 Dean Epps is active in women's and minority organizations. She is a former Vice Chair of the Pennsylvania Gender Task Force and has served as a member of the Third Circuit Task Force on Equal Treatment in the Courts, a member of the Task Force's Commission on Race and Ethnicity, and as Co-Chair of the Commission's Committee on Special Issues in Criminal Justice. From 2002 to 2005 Dean Epps was a member of the Board of Directors of Women's Way. From 2010 to 2012 she served as the Treasurer of the Pennsylvania Women's Forum, and will become the Vice President in 2012. At Temple, Dean Epps served as a member of the Women's Studies Program Steering Committee and remains an affiliated member of the Women's Studies Department. She also served as a member of the University's 125th Anniversary Steering Committee. Prior to her appointment as dean, she was an advisor to both the Women's Law Caucus and the Black Law Students' Association. Dr. William R. Hite Jr., superintendent of The School District of Philadelphia, will be the keynote speaker at the event. Dr. Hite's remarks go along with Chancellor William P. Fedullo's focus on public education this year. Fedullo has created an Education Task Force to begin finding more ways that the legal community can help public education in Philadelphia and throughout Pennsylvania. The Chancellor also has plans for a number of programs so Association members can learn about what is needed for a quality public education for students. Immediate-Past Chancellor Kathleen D. Wilkinson will be honored at the event. She will be presented with a gold box, a replica of the one presented to Andrew Hamilton for his defense of John Peter Zenger in 1735. The gold box is presented annually to the immediate-past Chancellor and is inscribed with the message "acquired not by money, but by character." The March 11 Quarterly Meeting and Luncheon begins at 12 p.m. in the Grand Ballroom at the Hyatt at The Bellevue, Broad and Walnut streets. Tickets are $65 for Philadelphia Bar Association members and $75 for non-members. Purchase tickets at philadelphiabar.org by Thursday, March 6. Cancellations must be received by March 6 to receive a full refund. The Business Law Section will host an evening of jazz and rainmaking on Thursday, March 13 with Steve Goodman, renowned jazz pianist and senior partner and major rainmaker at Morgan Lewis & Bockius LLP. Steve will provide insights to client development, retention and growth, and then will be joined on stage by the other members of the Goodman Trio, bass player Bruce Kaminsky and drummer Bruce Klauber, to complete the evening. Registration is required in advance. Includes hors d'oeuvres and a drink ticket. Walk-ins are not permitted. The evening runs from 5:30 to 7 p.m. at Chris' Jazz Cafe, 1421 Sansom St. Admission is complimentary for law student members of the Philadelphia Bar Association; $10 for Association members; and $20 for non-members. Law students who are not members of the Association that register for this event will automatically be Association members for the remainder of 2014. Click here to register. Alan M. Feldman started his own law firm in 1987 with just a few files in a subletted office. Together with Carol Nelson Shepherd and Ezra Wohlgelernter, he presided over the firm's development into one of the region's premier personal injury boutiques. On Monday, March 17, Alan and Carol will share their thoughts on what it takes to create a successful law practice, and will answer questions from lawyers who have made, or are considering, the jump from employee to owner-operator of your own firm. 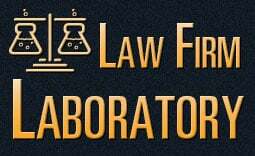 Created in 2014 by Chancellor William P. Fedullo, the Law Firm Laboratory is a free program series and ongoing incubator of innovative ideas, strategies and concepts for starting and nurturing new law firms and helping existing law firms of all types serve the changing needs of tomorrow's clients. The program begins at 12 p.m. in the 11th floor Conference Center at the Philadelphia Bar Association, 1101 Market St. There is NO COST to attend this program. Lunch is available for purchase to those who register in advance. The cost of lunch is $8 for members of the Philadelphia Bar Association and $12 for non-members. Click here to register. Philadelphia judges are seeking to host law school graduates as judicial fellows to provide the graduates with substantive legal experience while benefitting the court system with additional legal talent, as part of the First Judicial District's Judicial Fellowship Program. Now entering its fourth year, the Judicial Fellowship Program was created in 2011 to address the difficult hiring climate for lawyers that many recent law graduates were facing. The Judicial Fellowship Program aims to provide high-caliber law graduates with substantive experience in the law, and to support the Court in carrying out key functions. Fellows volunteer their time, have the same responsibilities as regular paid judicial law clerks, and gain the benefit of training by judges in the Philadelphia courts. Judicial fellows' service helps our high-volume court system maintain its superior quality of service to the Philadelphia community. Judges help judicial fellows by mentoring and providing legal experience that will enhance their competitiveness for paid employment as new lawyers. Philadelphia Court of Common Pleas Judge Lisa M. Rau developed the program with help from Professor Chapin Cimino of the Drexel University School of Law as well as faculty and administrators from career services offices at the University of Pennsylvania's Law School and Temple's Beasley School of Law. The Judicial Fellowship Program quickly expanded and now welcomes graduates from law schools from across the country. The Philadelphia Bar Association is a supporter of the Judicial Fellowship Program. The application process is streamlined and selective. Prospective judicial fellows apply directly via email to judges with whom they are interest in working. Judges select judicial fellows from those applicants who apply to them directly. The list of judges with available positions for judicial fellows is provided on the Judicial Fellowship Program's website. Each judge and fellow team designs a flexible schedule (minimum of 20 hours per week) that ensures reliable service to the judge but permits the fellow to seek a paid position elsewhere. Judicial fellows do not commit to any length of service enabling them to leave the fellowship with two weeks' notice to their judge upon obtaining paid employment. During the first three years of the program, more than 50 judges volunteered to host judicial fellows and the Court hosted 149 judicial fellows from 30 different law schools. As of February 2014, the vast majority of judicial fellows (approximately 84 percent) who left their fellowship departed for paid jobs using their legal skills. The Residential Mortgage Foreclosure Diversion Program needs the investment of many pro bono attorneys to help clients negotiate affordable loan modifications, payment arrangements, or otherwise resolve clients' mortgage foreclosure cases. Volunteer attorneys are asked to put their negotiation skills to work; litigating the mortgage foreclosure case is not expected of volunteers. Volunteers need no experience in mortgage foreclosure law to participate. A training will be held Friday, March 14 at Hangley Aronchick Segal Pudlin & Schiller One Logan Square, 18th & Cherry streets, 27th Floor. Volunteers will receive a total of 2.5 free substantive CLE credits in exchange for providing ongoing representation for two different clients in the Mortgage Foreclosure Diversion Program or for representing three clients as a temporary solution or emergency volunteer. Click here to register. Entries for the American Bar Association Law Day Art Contest "American Democracy and the Rule of Law: Why Every Vote Matters" are due March 7. The contest is open to students, student groups, and classes attending a public or private high school, or being home schooled, within the U.S. and in grades 9-12 or the equivalent. Runners-up for both the individual and team categories will receive prizes with a value not to exceed $250 and winners for both the individual and team categories will receive prizes with a value not to exceed $750. Students will create a two-dimensional representation of an art piece (including, but not limited to, drawings, paintings, videos, photographs, graphic novels, comics etc.) that highlights the theme. Individual and groups submissions are welcomed. All qualified participants under the age of 18 must have their parent or guardian sign the Parental Permission Release Form, and each Entry Form must be signed by an adult. Click here for the entry form.